LK Advani and other top leaders of the BJP including union minister Uma Bharti will be tried for criminal conspiracy in the demolition of the 16th-century Babri Masjid in Ayodhya, the Supreme Court ruled today. Judges have also ordered daily hearings to ensure a verdict is delivered within two years. 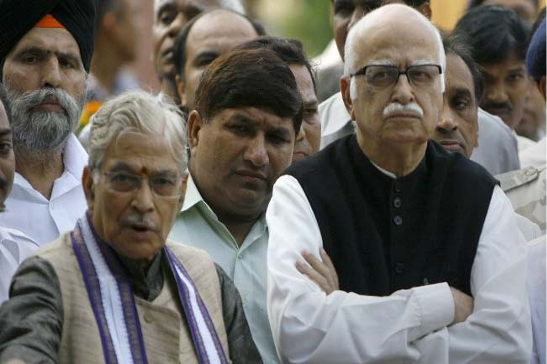 Mr Advani, 89, was originally and along with party colleagues like Murli Manohar Joshi, charged with making inflammatory speeches that motivated lakhs of right-wing volunteers or karsevaks to pull down the mosque in 1992. That trial was being held in Rae Bareli. Now, the BJP leaders, facing far more serious charges, will be tried in Lucknow, where, so far, a separate case is dealing with about 20 people accused of the actual demolition of the mosque. By combining the two trials, the judges want to ensure that a verdict is delivered within two years. Kalyan Singh, who was Chief Minister of Uttar Pradesh when the mosque was demolished, is currently the Governor of Rajasthan and cannot be prosecuted while in office. His trial will begin after his term ends, the Supreme Court ruled. The CBI says that it has evidence that the BJP leaders, who made their speeches on a stage near the mosque on the day that it was razed, were part of the deadly plan to bring down the mosque. The agency says that Mr Advani and other BJP leaders met the night before the mosque was brought down and decided that it would be razed, which makes the demolition a pre-meditated, deliberate event. In 2010, the Allahabad High Court disagreed with the CBI about criminal conspiracy charges for the BJP veterans, which meant that the leaders' case continued to be heard in Rae Bareli. The CBI had appealed against that decision in the top court. The clubbing of the two cases in Lucknow has been opposed by lawyers for Mr Advani and his colleagues on the grounds that they involve different people as the accused. They also say that the trials are at different stages. The demolition of the mosque came after a movement led in part by Mr Advani for a temple to be built on the same spot where the masjid was constructed by the Mughals. Many Hindus believe that the mosque was built over the birthplace of Lord Ram; they want a temple to be built there. The Supreme Court is deciding who the dispute site belongs to. The razing of the Babri Masjid incited nationwide riots between Hindus and Muslims; around 2,000 people were killed.